Stephen Cheshire’s butterfly guide is a nicely designed site with good pictures for identifying all the butterflies you’re likely to see in the UK. There is also a very good online ID tool. 6-minute video by David Attenborough on the weird and wonderful life cycle of the knopper gall wasp (Andricus quercuscalicis.) as it provokes an oak tree to produce a gall in which the wasp can lay its eggs safely inside. From the BBC’s ‘Life in the Undergrowth’. The knopper gall wasp is just one of 70 gall wasps which can afflict a single British oak, though many have only a negligible effect on the tree. Damn this quiz from Suffolk moths is difficult, but very well designed. Strictly for experts. Remarkable photo from the BBC’s Autumnwatch a few years back of spindle trees and bushes (Euonymus europaeus) in a Dorset hedgerow infested with the silk webs of the spindle moth or spindle ermine (Yponomeuta cagnagella). More here with a video. Spindle ermines weave silk webs to protect themselves from birds and wasps, allowing them to gorge on leaves for six weeks before transforming into the moth. Not known for being bright sparks, they sometimes mistake other objects for spindle trees such as this car in Rotterdam (Image: Daily Mail). They can find flowers in city parks and gardens, and they are away from some of the pesticides that are threatening them on farmland. It’s a misconception to think that they won’t thrive in cities and towns. I’ve heard of honey being sold from apiaries around King’s Cross station in London. 2009 has been the year of the Painted Lady butterflies, after unusually favourable breeding conditions in North Africa triggered a remarkable wave of migration that saw millions arrive in Britain. So it’s appropriate that this year a niggling mystery regarding this species has finally been solved. After breeding, do these butterflies attempt to survive the British winter, or do they migrate southwards? This is exactly the evidence needed to lay this enduring mystery to rest. Painted Ladies do return southwards from Britain in the autumn enabling the species to continue its breeding cycle during the winter months. The population of the UK’s honeybees continues to fall, with almost 20% of colonies dying last winter, according to figures from the British Beekeepers Association (BBKA). The figure is an improvement on the 30.5% for winter 2007-08 but is way short of the 7-10% which until the last five years had been considered acceptable. Average national losses of 19.2% were highest in the north of England at 32.1%, and lowest 12.8% in the east of England. Mass bee deaths termed colony collapse disorder are blamed on disease possibly compounded by pesticides, changes in agriculture, and climate. Bees are estimated to be worth around £200m to the UK economy thanks to the job they do pollinating crops. This summer there’s good reason to be optimistic about the Duke of Burgundy (Hamearis lucina), on the list of endangered British butterflies. With the destruction of its preferred woodland habitat, the species hung on in areas of undergrazed downland in the south of England, favoured by the crash in the rabbit population. 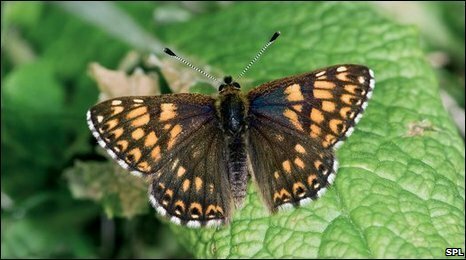 What’s unusual this year is that a second generation of the butterfly has appeared in one of its more northerly outposts, Rodborough Common, Gloucestershire, owned by the National Trust. 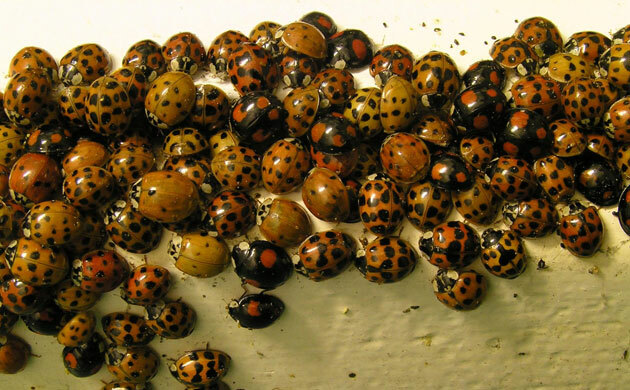 Climate change seems responsible for the butterfly emerging earlier every spring and for this appearance of a second brood in summer, as occurs in southern Europe. Read more at the BBC, where you can also listen to the clearly thrilled conservation advisor Matthew Oates, as he talks about the revival of the Duke of Burgundy.